A myriad of failings at Hazlehead crematorium were highlighted this year, following an investigation led by former Lord Advocate Dame Elish Angiolini. 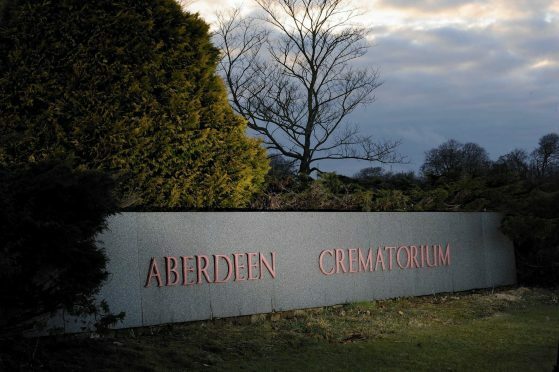 Her report heavily criticised Aberdeen City Council after it emerged the ashes of unrelated adults and infants had been routinely mixed during the cremation process, with baby ashes often not returned to grieving parents. Now, the local authority has said it will accept claims from families involved in the scandal until February 1 next year. A spokesman for Aberdeen City Council said: “We are committed to moving towards a settlement of claims for compensation and are working with all parties to ensure the individuals and families involved in the process are kept fully informed throughout the process. “The council has wholeheartedly apologised for the distress which past practices at Aberdeen Crematorium have caused. Thompsons Solicitors, which is representing many of the families involved, confirmed the February 1 deadline had been set to enable the process to move on to the next stage. Patrick McGuire, a partner with the firm, said: “The past few years have been immensely painful and stressful for the Aberdeen families. “They’ve struggled to get their concerns heard. They felt as if their concerns were being ignored and brushed aside. “The fact we are where we are today is a testament to their courage, tenacity and dignity as well as the knowledge that, in the end, they knew they would be proved right. “Over the past few years, myself and the Aberdeen parents have had no alternative than to follow a course of being highly critical of the stance adopted by Aberdeen City Council. Claims from families should be addressed to Head of Legal Democratic Services, Aberdeen City Council, Corporate Governance, Business Hub 6, Level One South, Marischal College, Broad Street, Aberdeen, AB10 1AB or Thompsons Solicitors, 285 Bath Street, Glasgow G2 4HQ.